Print File 8 mil album pages provide an ideal acid free photo storage solution. Holds eight 4x6 prints. 25 per pack. 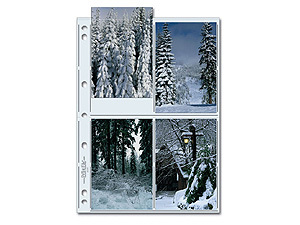 These Print File album pages provide an ideal acid free storage solution for your photos. Note: These pages will also fit MBI Album 32046.